The Apterra H/P was developed in the Enschede, Netherlands at Apollo’s Global R&D Centre. The feel and finish of the tyre is indeed premium. It uses the tried and tested multi-polymer compound that ensures safety on the expressways at high speeds. The on-road SUV tyre consists of optimized continuous rib on the tread that offers better stick to the surface and directional consistency. The larger shoulder blocks ascertain precise handling and better cornering. Apollo Apterra has been an OEM fitment to many leading SUVs in the market and can be fitted to various 4x2 and 4x4 SUVs. The value for money tyre is offered in various rim sizes and variations to choose from. Apterra is covered under industry best standard warranty from Apollo Tyres. 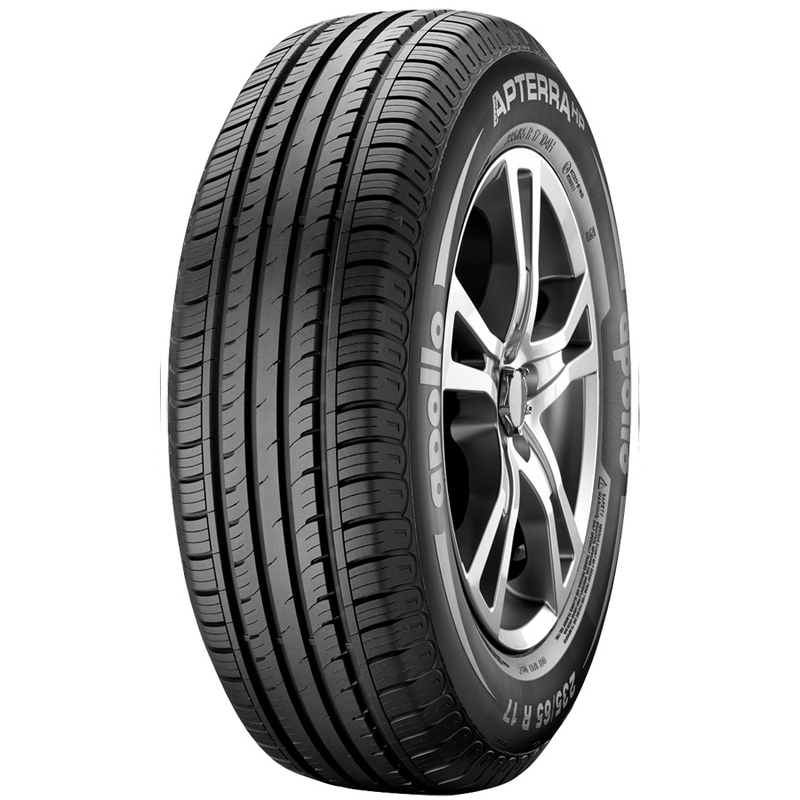 The highway friendly SUV tyre, Apterra H/P comes with high quality unique rubber compound and unique tread design. The unique tread pattern also ensures apt vehicle control at high speeds. The tyre is well suited for city and highway use. Its stiff and well optimized longitudinal rib comes with strong shoulder pattern that helps in better steering response. Apterra H/P gets robust carcass for extra load capacity for a large 7-seater premium SUV. The reasonably priced Apterra H/P also carries advanced sipe technology on the tread that allows excellent water dispersal on wet roads. The wide contact patch ensures noise free ride, adequate grip and no screeching on the road during dry conditions.